Are you interested in multi-classing, but don't want to have a significantly weaker character than others at your game table? 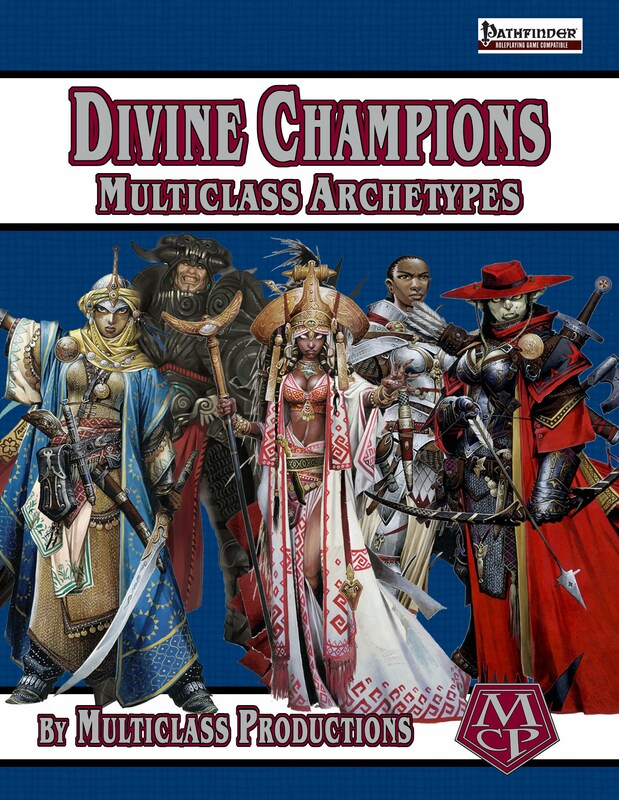 Check out our Multiclass Archetypes: Divine Champions PDF, or the newest addition, Multiclass Archetypes: Arcane Masters I PDF. They're both FREE! There are also several other MCA PDF files available HERE. And if you're looking for ALL of the MCAs that have been made my Multiclass Productions, you can find a temporary dump of our previous MCA Wiki page HERE. We will be working diligently to get all of the MCAs and related materials up onto their own pages over the next few months, but it will take some time, so please bear with us. Click here to read information about Paizo's Community Use policy. Click here to read the open gaming license, which all content on this website is subject to.